Replacing Hospital Information Systems (HIS) is akin to a heart-lung transplant. In other words, they are really complex and missteps can impact both revenue as well as patient care. Given this, we believe that taking an incremental approach to replacing HIS is prudent. We will explore the five key reasons for following such an approach in this blog. While the core functions of a hospital remain generally the same irrespective of location, there can be substantial differences in operations that are influenced by the local laws, the clientele served, the availability of technical infrastructure to support automation etc. An added complexity comes from the fact that modern medicine and medical practices have evolved substantially, even in developing countries, while investments in systems and automation have lagged. After years – and sometimes decades – of little to no investment in Hospital Information Systems (HIS), hospitals in all continents are finally beginning to take steps to employ technology to keep up with the expectations of healthcare insurance providers, physicians, nurses and patients. In other words, the technology adaptation has accelerated from a “nice to have” position to a “need to have” status. Sure, there are many healthcare technology firms that claim their HIS is easy to use, includes all pertinent workflow processes, and is entirely end-to-end. While these systems come at a hefty price tag, the best ones typically meet only 60% of the requirements of a hospital. Instead of ripping the band-aid off all at once with an end-to-end HIS, administrators should consider another viable option that gets hospitals and their staff moving in the right direction. Like many large organizations with complex processes, hospitals run some of their core operations through older software applications. The decision to stay with old tech is often because of necessity and practicality, not desire. Old applications and solutions present functional gaps, but the process of moving from old tech to new ones can cause an organizational whiplash. Starting with the most critical functions, hospitals should develop plans to gradually migrate from out-of-life technology. Crucially, when developing these plans to replace legacy systems, hospitals should consider the next wave of innovations and how to make future replacement a more natural part of an operational review. New systems are data-heavy. There is an increasing demand for networking, quick processing of complex data, easy and fast access to databases, and file system resources. Before moving to new technologies, hospitals should assess existing network infrastructure and perform needed updates and investments. Since new systems provide the ability to process more data that lead to increased analytics, existing workflows may need modifications. Applications that operate in silos need to be well-integrated; otherwise, it is not possible to derive the full benefits of available data. Overhauling the IT system of a hospital can seem overwhelming. Rather than a gradual change, administrators may be tempted to wipe the slate clean and start anew with an off-the-shelf solution. Before jumping into a brand-new system that lacks customization, slow down and consider the risks. What if the system doesn’t work as intended? The entire functionality of the hospital is at stake and, with a big-bang approach, quality issues can impact critical operations. There is also a high likelihood of failure or midway stoppage due to cost overruns or missed deadlines. Let’s face it, change can be hard and a little unpredictable. How employees react to change varies from one place to another, but taking a gradual approach to change seems to be the best approach for success. Every hospital has its own system and employee culture. A trusted partner not only works with a hospital to identify the benefits of new solutions but also warns of potential snags. With an incremental deployment of new technologies, hospital staff can become acclimatized to new technologies, and systems can be debugged. 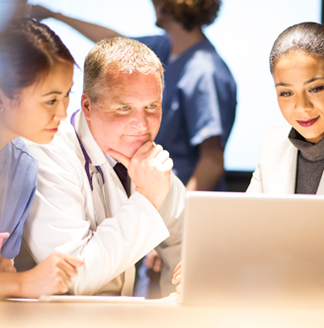 In summary, as Hospitals continue to focus on their Hospital Information System transformation initiatives, taking a gradual replacement approach should be a serious consideration for the reasons outlines in this blog post above and many more. DecisivEdge is taking such an approach to replacing the legacy HIS at one of India’s leading hospital groups based in Pune. With about a third of the modules upgraded, DecisivEdge and our client feel vindicated that an incremental approach has produced better results – more user engagement resulting in a better solution and greater user acceptance. 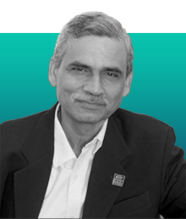 Sandip Sharma is Managing Director & CEO of DecisivEdge Technology Services India Pvt. Ltd., a wholly owned subsidiary of DecisivEdge, LLC. His focus is to streamline solution and service delivery, direct business development efforts in India, develop new capabilities and drive the growth of the subsidiary.